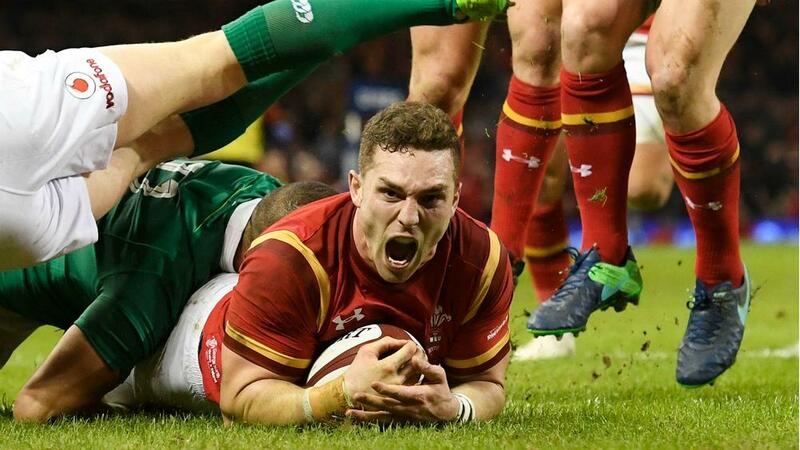 England could wrap up the Six Nations title on Saturday after George North answered his critics to inspire Wales to a 22-9 victory over Ireland in Cardiff. Joe Schmidt's men are England's closest challengers at the top of the table, but victory for the defending champions against Scotland at Twickenham this weekend will now be enough to see them retain their crown with a game to spare. Wales interim coach Rob Howley had challenged his players to produce a response after their disappointing showing in Edinburgh a fortnight ago, and North answered that call with relish. The Northampton Saints winger came in for particular criticism following the 29-13 defeat against Scotland but touched down either side of the break as Wales held on for victory in a thrilling Test, with Jamie Roberts sealing the win late on. Jonathan Sexton opened the scoring from the tee after seven minutes following a period of early Irish pressure, while Wales' first attack was ended by a knock-on from Jonathan Davies following a succession of heavy hits. The hosts made the breakthrough in the 20th minute, with Sexton having been momentarily replaced by Paddy Jackson after taking an accidental knee to the eye from Davies. North powered through the tackles of Keith Earls and Simon Zebo to touch down after a fantastic pass from Rhys Webb found numbers on the right wing. Leigh Halfpenny, the conduit between Webb and North for the try, was wayward with the conversion, opening the door for Jackson to successfully send Ireland back in front with his first kick – a strong cameo for the replacement fly-half, who promptly made way for the returning Sexton. Sexton left the field again before the half was up, this time sent to the sin bin after being deemed to have killed the ball on the line to present Halfpenny with a straightforward kick in front of the posts. Leading 8-6 at the interval, Wales stretched their advantage to nine points within five minutes of the restart when the ball emerged from the back of a driving maul for North to cross again - the first second-half try Ireland have conceded in this year's championship. Ireland then lost Conor Murray to injury, with the potential British and Irish Lions scrum-half having soldiered on after taking a blow to the left arm from North midway through the first half. Sexton – back from his spell in the bin – reduced the deficit to six after Dan Biggar was penalised for a high tackle, before the Welsh number 10 struck the upright with a drop-goal attempt. Ireland pressed hard against a determined Welsh defence, coming closest to a match-saving try when Robbie Henshaw was whistled by referee Wayne Barnes for joining a promising maul illegally. And Roberts delivered the decisive blow with two minutes left on the clock, going over next to the posts after a Taulupe Faletau charge down. The win pulls Wales level with Scotland on nine points ahead of Saturday's Calcutta Cup clash.